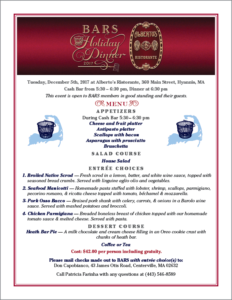 The BARS Annual Holiday Dinner will be Tuesday, December 5th at Alberto’s Ristorante in Hyannis. 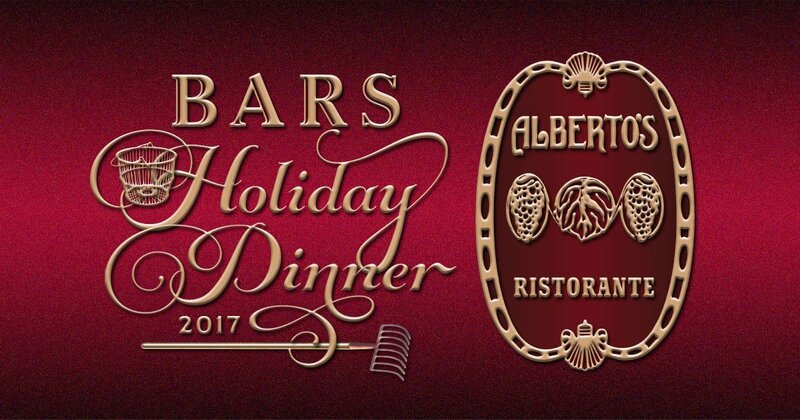 The event is open to BARS members in good standing and their guests. Cash bar is from 5:30 – 6:30 pm. Dinner will be served at 6:30 pm. Price per person is $42.00 including gratuity.